At South Downs Secure car storage we believe there is no finer sight than a beautifully preserved classic car. 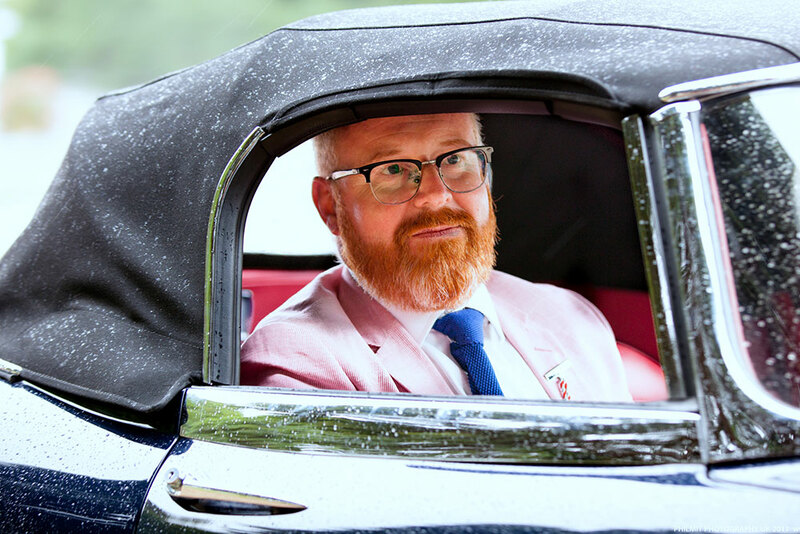 This week we’ve invited classic car aficionado, Bryan McMorran, to write an article for our car storage blog the Inside Track. Bryan has been buying and selling some of the world’s finest cars for over 25 years. He also writes about them for the Private Motor Club journal and comments on the classic car market for Borro.com. Bryan runs a classic car brokerage, Abbeyfield Sports & Classics Limited and is about to launch his own blog on the automotive world called House of Cars. Stay tuned for that, and in the meantime, take it away Bryan. Do you remember a time when you used to put photographs into albums? You held them carefully by the sides so as not to get fingerprints on them; then you’d place the prints onto the slightly tacky page, and smooth the plastic film cover over them, preserving them for many to admire. There weren’t any “Clouds”, just big books with fake leather covers stored on bookshelves. If you lost them, they were gone. Unless of course, you had the negatives. But they were generally kept in the little sleeve at the front of the album, so they’d be lost too. My point is, nowadays we take so much for granted because of technology. Things just work. And if they don’t, there’s a back-up somewhere or a reboot. Your mobile phone doesn’t work? “Have you switched it off, and then back on, Sir? No problem, glad to be of assistance”. My Bentley T-series can’t be rebooted. It has to be looked after, a little bit like those old photographs. It is, after all, nearly 40 years old. Things deteriorate. Fray. Perish. Maintaining and owning a classic car isn’t the same as a modern one. It’s of a different time. They need caring for. A bit like your gran. You have to realise that going back to what we now consider to be a classic (if you’re like me and over 40, this is anything pre-1980…you pesky modern kids will shift that marker by as much as 20 years….) that things were different then, and cars needed a bit more love. The passage of time can be a cruel mistress to all of us, but things can be preserved. Look at the Duke of Edinburgh. If you do have the desire to own a classic car, it’s not just values you need to consider. Lots of people have moved into this market over the past few years, many of them dedicated enthusiasts, however, many have done it from an investment point of view. And that’s fine, but always remember, if it’s just left to appreciate in value, it will likely deteriorate in condition. And that won’t help anyone. The classic car industry is now a multi-million-pound input into the economy, with many specialists set up to care for these treasures so that future generations can enjoy them too. But time, effort, and most of all, money, has to be invested in them if they are to survive. Locking it away in your dusty old, weather-beaten lock-up for a few years, won’t be doing anyone any favours. As I said, they can’t just be switched off and on again. They have to be cosseted. Engines were created by men in brown coats, and they were mechanical machines with moving metal parts that had to work with other moving metal parts. This needed proper lubrication and temperature for them to be in harmony with each other. They almost sounded broken at first, but then, as fluids raced round, and heat began to build, the sonorous sound of that Colombo V12 or Merzinger flat 6 opened their pipes like a fine Diva singing her heart out. That’s where the opera lives. These are works of mechanical art, not digital processors. And like all works of art, they have to be cared for if you are to enjoy them. If you treat a classic car as a modern one, it simply doesn’t work. And I’m not saying that they shouldn’t be taken out and driven, because if you owned a Matisse, you’d want other art lovers to enjoy it too, but just that you wouldn’t leave it on your driveway in all weathers with a sheet over it. You wouldn’t hang a Rembrandt over your stove when frying steaks, or burning casseroles. So why would you leave a 1964 E-Type parked on the street for days at a time in all weathers and then expect it to start on the button? If you are to participate in this world of past masters, learn about them. Enjoy them, by all means, after all, they were built for that in the first place but understand them too. Understand that they have hearts and souls that need to be cherished. Modernity can be clinical and unromantic. If there isn’t a notification about it, we won’t check it. The dipstick? Nah, I just wait until the light comes on the dashboard mate….. This disposable world we live in contributes to substandard products. Its why we don’t mind throwing things away. It’s cheaper just to buy a new one. But that can’t be the way with a classic car. It should be like a waxed Barbour. If you care for it, send it back to the factory to be rewaxed annually, and treat it right, it should see a man out. No gentleman should be buying new Barbour every other year. Care for your classic in the same way. Appreciate how it works, take time to learn it. Garner knowledge about how to look after it, and get to know its foibles and idiosyncrasies. I can hear when my Bentley is unhappy. I don’t need to wait for a light or a puff of smoke. Its difficult to describe, but it’s a “feeling” you get from a mechanical piece of engineering that lets you know that not all is well. And I’m not an engineer, nor even an amateur mechanic. I can barely put oil into a frying pan, let alone into a 6.75 litre V8. But I do know this. I love my old Bentley. I cherish it. It’s not perfect, it has its wrinkles, its age spots and I know that its joints ache. However, by knowing that, I can make sure that it gets taken care of properly for its next custodian. And they can do the same for the next. Like those old photographs, a classic car won’t want to be handed every day but brought out for those occasions when it’s nice to reminisce. For everything else, we can just log onto our smartphones. If you have a classic car that needs to be cherished and preserved, talk to us at South Downs Secure. Our state of the art storage facility is based on the West Sussex, Hampshire and Surrey borders.